K9 Angel has officially retired from the Pearland Police Department and will be adopted by her handler, Officer Mike Gangloff. During the course of K9 Angel's career, which spanned from January 2014 through February 2019, K9 Angel was deployed 603 times by her partner. Officer Mike Gangloff and K9 Angel are responsible for seizing a total of $3,319,772.70 worth of illegal narcotics over the span of her career. This K9 Team also had nine successful tracks that lead to the apprehension of suspect(s) and are responsible for $18,117.00 in asset seizures. 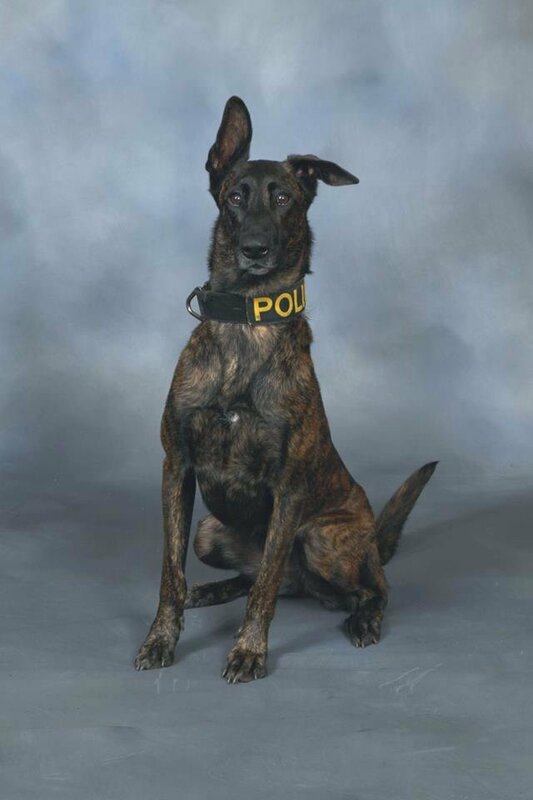 "The Pearland Police Department wishes to thank K9 Angel for her faithful service to the Citizens of Pearland and her unwavering devotion to her partner, Officer Mike Gangloff." That is so sweet, thank you officer Mike! Great job Angel and Officer Mike!! Love the picture - especially the ears!! 🙂. Hopefully you get a nice treat for your retirement. Thank you Officers Mike and Angel! So glad you are staying together! @Nickolemarie : That's great! She deserves it! ❤️ Dogs and cats! Time for a weekly steak paid for by the Pearland government. Bless you Officer/handler Mike for making the remainder of Angel's life peaceful. And thank you for your service. Thank you both for your service to our great city of Pearland! Just finished my book TOP DOG ABOUT Marines who deploy oversees with their K-9 Marines! Great job you two and great book!! A must read!!! !